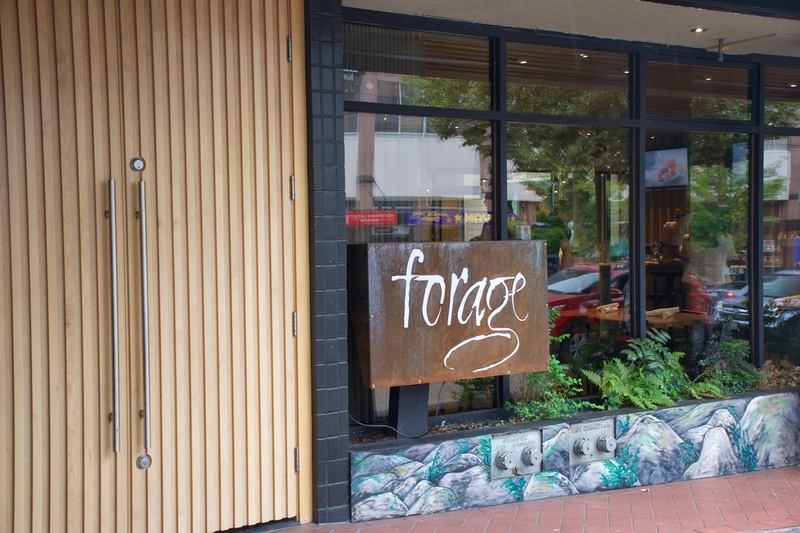 Vancity Noms: Forage - Cheese Tasting Event! Yesterday I went to a media cheese tasting event by the Canadian Cheese Rolling Festival that was hosted at Forage! Thanks again Forage for the invite, I had a great time! Even though I've heard of cheese rolling festivals, I never knew one existed in BC! The Canadian Cheese Rolling Festival is coming up on August 16th from 12 to 4 pm and will be held in Whistler! *Even though I was invited to the event, I wasn't paid to write this review! As always, these are my honest opinions! 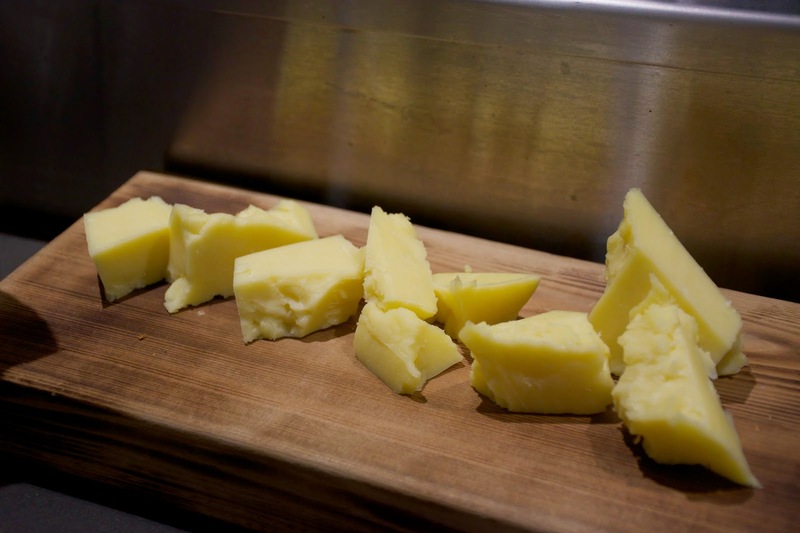 We started off with a tasting of their courtnenay cheddar cheese, to derive the flavours of the courtenay cheddar in its simplest form. Texturally, it was incredibly smooth, and melted in my mouth. It was a very mild cheddar, with a sour finish. I didn't get to try the shortbread either because I'm allergic to hazelnuts! But the kale chips were ah-mazing! I'm already a huge fan of kale and deep frying it made it even better! These aren't your regular packaged kale chips! They were perfectly fried, and were light, airy & crispy. It also had melted cheddar on it, which added another dimension of flavour to the chips! 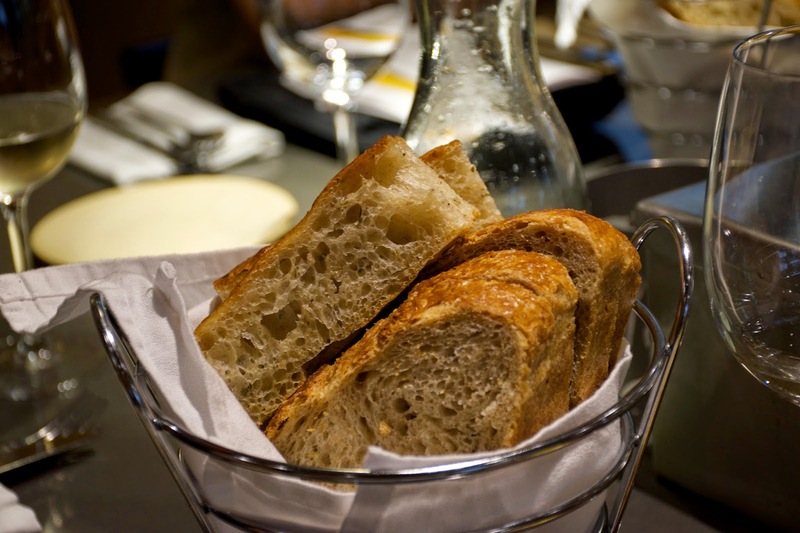 This was some great sourdough bread! It had a grainy like texture and was mildly sour.The dough was springy, soft, and wasn't dense at all! The crust was crispy, flaky, super yum! This came in a little miniature sized pot, which I thought was cute! The dip was incredibly creamy, smooth, without being too thick. It had just the right amount of seasoning, without being too salty. I could pick up notes of pepper flakes, basil, parsley, sour cream, with a heavy pesto element.